Developmental dyslexia is a condition related to poor reading. 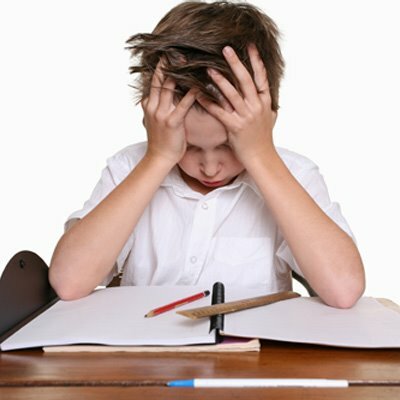 Children with dyslexia have difficulty learning to read due to one or more information processing problems such as visual perceptual or auditory perceptual deficits. Many but not all children with dyslexia have difficulty with reversals of numbers, letters or words. New research points the way to specific methods of instruction that can help anyone learn to read well no matter what the underlying problem may be. Following the links will provide interesting new information as well as extremely effective solutions for all types of reading problems including developmental dyslexia. 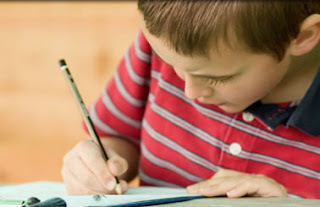 Children who have an average or above IQ and are reading 1 1/2 grades or more below grade level may be dyslexic. True dyslexia affects about 3 to 6 percent of the population yet in some parts of the country up to 50% of the students are not reading at grade level. This means that the reason for most children not reading at grade level is ineffective reading instruction. The dyslexic child often suffers from having a specific learning disability as well as being exposed to ineffective instruction. Letter or word reversals when reading. (Such as was/saw, b/d, p/q). Letter or word reversals when writing. Difficulty repeating what is said to them. Poor handwriting or printing ability. Reversing letters or words when spelling words that are presented orally. Difficulty comprehending written or spoken directions. Difficulty with right - left directionality. Difficulty understanding or remembering what is said to them. Difficulty understanding or remembering what they have just read. Difficulty putting their thoughts on paper. Children with dyslexia do not exhibit these symptoms due to poor vision or hearing but because of brain dysfunction. The eyes and ears are working properly but the lower centers of the brain scramble the images or sounds before they reach the higher (more intelligent) centers of the brain. This causes confusion as well as frustration for the learner. When a child is having difficulty learning, a comprehensive neurodevelopmental exam is important. This includes testing of hearing, vision, neurological development, coordination, visual perception, auditory perception, intelligence, and academic achievement. Often, perception problems can be helped with simple exercises which either help to improve a specific problem or teach techniques to compensate for a problem. These often can be done at home. In a few cases, a referral to an educational or speech therapist may be helpful. What causes dyslexia and reading problems? Over 180 research studies to date have proven that phonics is the BEST WAY to teach reading to all students. They also have shown that phonics is the ONLY WAY to teach reading to students with dyslexia and other learning disabilities. Unfortunately, 80% of our nations schools do not use an intensified phonics approach for reading instruction. They either use the whole word (see & say) approach or a cursory use of phonics along with the whole word method. While most people can learn to read using the whole word approach, it is not the best way to learn. It teaches through memorization of word pictures and guessing. Unlike Chinese or Japanese which are picture languages, the English language is a phonetic language. With the exception of the United States which dropped phonics in the 1930's, all other countries that have a phonetic language, teach reading through phonics. There are only 44 sounds while there are about 1 million words in English. 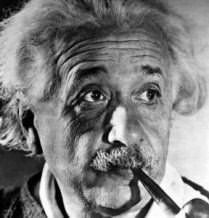 These facts readily explain why having to memorize 44 sounds as opposed to memorizing hundreds of thousands of words is the most efficient way to learn to read. Some children have auditory discrimination problems. This may have been the result of having chronic ear infections when they were young. Others may be born with this learning disability. Correction involves educational exercises to train the brain in discrimination and to over teach the formation of the sounds used in speaking and reading. Another group of children have visual perception problems. They may actually reverse letters or words. They have difficulty matching the word image on the page with a previously stored image in their brain. Exercises that train the brain to "see" more accurately may help but instruction with phonics is the best approach to overcome this problem. Language development problems can contribute to poor reading and listening comprehension along with difficulty in verbal and written expression. Learning appropriate word attack skills through phonics along with special help in receptive and/or expressive language skills improves this type of learning disability. 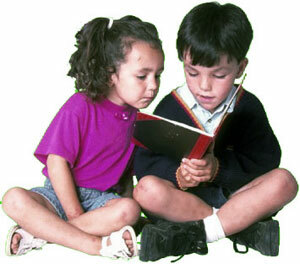 It is not unusual for children to reverse letters and words when they read or write up to the age of 6 or 7. This is due to immaturity in brain development. Children who have problems with reversals usually also have problems with left-right directionality. Below are some exercises that have been found to help improve directionality and reduce reversals. Spatial confusion - unable to differentiate left-right, on self, other, or paper. Confuses letter pairs as b-d, m-w, p-q. Confuses words such as was-saw, on-no. Simplify tasks so only one new discrimination is made at a time. Make each simple discrimination automatic before the next one is introduced. Overteach 'b", then overteach 'd", before presenting both together. Each discrimination that causes repeated errors should be worked with by itself until the problem is overcome. Trace, then write, the confused letter or word and pronounce it as written. Use short frequent practice periods. Lengthen the time between practice sessions as the material is retained. If the child is confused about his own left/right, use a ring, watch, ribbon or band on his writing arm. Color cue side of desk or paper or word as a starting place. Gradually increase the difficulty of material to discriminate. If errors are made, go back to simpler practice. Trace hands on paper. Label "right," "left." Play "Simon Says" - "Touch right foot; raise left hand," etc. Child follows the directions in drawing lines up, down, right to left, etc. and in touching parts of body. Child connects dots on blackboard to make a completed pattern; repeats process on paper. Child shows hands in sequence pattern: left, right, left, right, etc. Use marching as a variation. Child names objects on right and on left. He moves to different parts of the room and repeats. Arrange story pictures in sequence, left to right. Use lined paper for writing. Use weighted wristband to designate right or left hand. Tracing activities, left to right. Mark left with small "x." Use color tracing to repeat. When beginning writing the lessons, teach the child to begin as close to left edge of sheet as possible (then can move only toward the right). In reading, use markers, "windows," and other left-to-right directional aids.